Judiciously, Ernest Gill journeyed to Australia. The former Californian crewman, a profiteer from the Titanic disaster, plied his seafaring trade Down Under in years thereafter. 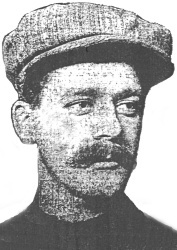 A donkeyman engineer in April 1912, Gill was estimated [in testimony by fellow crewman Cyril Evans] to have received $500 for his newspaper claims to have seen the death throes of the Titanic – the equivalent of two and a half years’ wages. The Evening Star of Washington DC, April 27. 1912, shows Ernest Gill, right, in opposition to his Captain, Stanley Lord, left. Undoubtedly the money helped pay for his marriage in Liverpool, which took place four days after his return to Britain on the Leyland liner Cestrian, having been marked as a deserter in Boston by Captain Lord of the Californian. Gill’s return fare was paid for by the British Consul in New York, Courtenay Bennett, later knighted, and the seafarer travelled first class. He arrived in England on the same day as the Adriatic, which brought home such luminaries as Bruce Ismay and surviving Titanic officers. Understandably, the Cestrian did not get any attention as both vessels berthed in Liverpool. Gill was, however, met by customs officers and Board of Trade representatives after telling in America of seeing a rocket that he told nobody about at the time. But all this questioning about Gill’s valuable rocket (not forgetting an earlier ‘shooting star’) was in the future. For the moment, he trooped obediently to the Receiver of Wreck Office on the waterfront and there gave a deposition. He was then served with a witness summons. Ernest Gill got married four days later. All other Californian witnesses had meanwhile given evidence by May 15, the day Gill arrived back in England. But Gill had a honeymoon… and did not give evidence until June 4. He was paid further witness expenses that came two shillings short of £10, the equivalent of nearly two months’ wages aboard the Californian, which would have amounted to £11. Delivery of the boy child to be known as Ernest Gill took place at10 Tillotson Road, Heeley, in the south of the city of Sheffield, on Sunday, November 2, 1884. He was to be a sixth surviving child for Clara Gill, formerly Hukin, and her husband of twelve years, a forge worker who gloried in the name of Farewell Gill. The father was then 32, his exhausted wife 28. The previous day, November 1, the White Star liner Celtic, from New York, and the West India and Pacific Company’s steamer Californian, from the West Indies via New Orleans, had both arrived in the Mersey. And in two days, Grover Cleveland would be elected President for the first time. A blacksmith’s assistant, formally known as an ‘edge tool striker,’ Gill’s father had little education, but made his way. The family had previously been living at Lancing Road, and would move from Tillotson Road to St Stephen Road by the time of the 1891 census. By that stage Farewell was employed as a labourer at a gas works. His son Ernest was six. He had been named after his uncle, his father’s brother. There were already elder brothers for Ernest named George, William, Charles and James. The name Farewell would not be conferred until 1896. That newborn died within days. Ernest Gill attended the Heeley Foundation School. His family was living at yet another address, 110 Cambridge Road, when he was admitted to Heeley Bank Boys’ School on January 28, 1896, aged 11. Ernest Gill abruptly left school on March 30, 1896. His mother reputedly died the same year, although her death was never registered. It would seem the brief arrival of Farewell also signalled her own departure. It would lead to the break up of the family. His mother dead at 40, before he had even reached puberty, Ernest was parcelled off to relatives. Older brothers went to work. A sister in her teens went into service. Father Farewell Gill seems to have fallen apart. He died in 1905, aged 53. Ernest Gill, soon to be orphaned on the threshold of manhood, may have been the lodger of that name at the family of Jim Auckland in Wombwell in 1901. Snapshotted as the only Ernest Gill of the right age in the census of that year (Gill appears to have been a late convert to the sea), this youngster was aged 16, described as a ‘glass hand,’ or assistant to householder Jim, a glass blower. From the blazing brazier of a blacksmith’s forge, to a glassblower’s furnace, to a ship’s stokehold, might seem an understandable family progression. Wombwell is eleven miles northeast of Sheffield, the sea a great deal further. Australia was a world away when Ernest Gill moved to Liverpool. One brother was already a ship’s engineer here. Another was in the Royal Marines. The city, across the Pennines from his birthplace, was a maritime window on the world – and seemed to hold out the prospect of a whole new life. 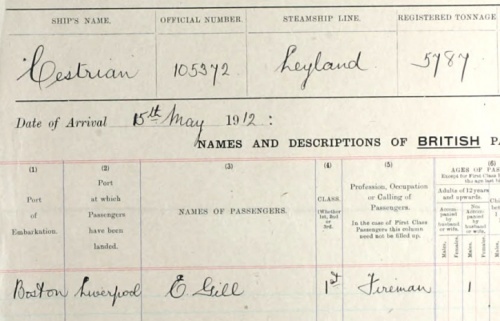 It’s not clear when he arrived, but Gill was aboard the Leyland liner Californian as a member of crew in 1911. He lived in the area of Scotland Road, a name later to be given to a main crew corridor on the Titanic. Gill’s address is shown as Newsham Street. 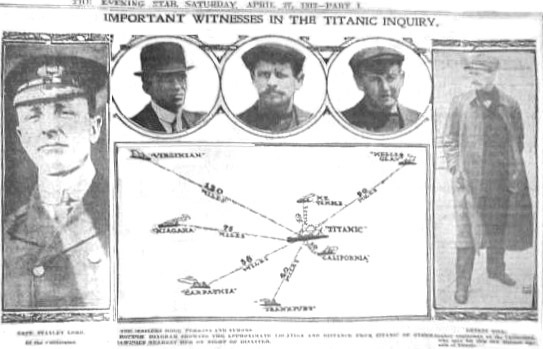 On the Californian articles for the voyage coinciding with the Titanic sinking, it is mistakenly rendered as Newsom Street. When Ernest Gill got married to Rose McIver on April 19, 1912, he gave his correct age (27), occupation (marine fireman), and an address at 39 Kew Street. He certified himself as the son of Farewell Gill, edge tool forger. Rose, the daughter of John McIver, labourer, gave the same address. Kew Street dwellings, including Newsham Street, were built in 1902. Kew Street ran from Scotland Road to Great Homer Street, with Newsham its adjunct. 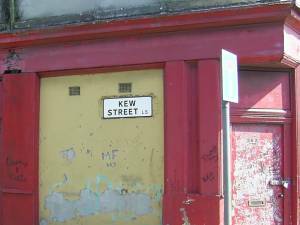 All that remains of Kew Street, in the Scotland Road area of Liverpool. Born in the season of the Jack the Ripper killings in 1888, Rose would be dead within two years. She succumbed to TB in the first month of 1914. 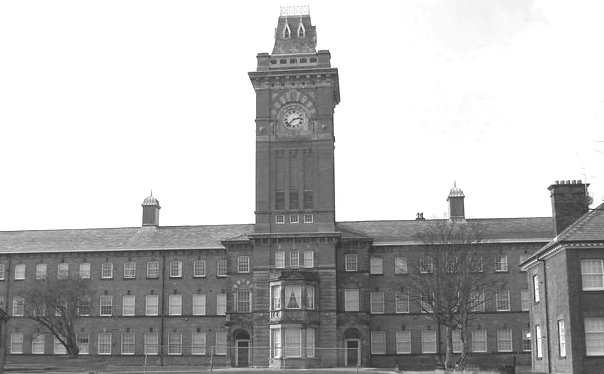 Rose died at Walton workhouse, which - despite the name - was then run as an infirmary. It closed in the late 1990s as Walton Hospital. 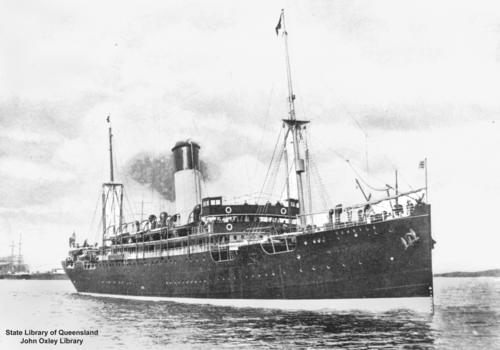 Shipping to Australia some months later, Ernest Gill arrived in Sydney from Liverpool on June 22, 1914, aboard the White Star liner RMS Ceramic. He was not a passenger, but one of Captain Spivey’s crew, signed aboard the 11,728-ton vessel as Ernest Gill, 29, from Yorks, listed on the articles as a refrigeration greaser. listing on the Californian agreement. 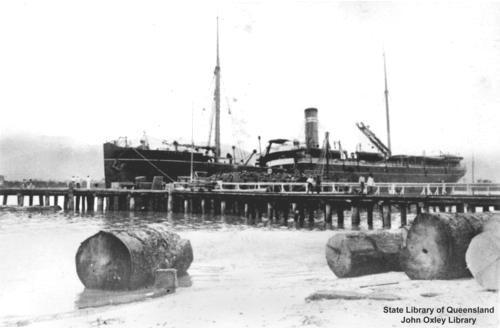 Gill is next seen about the steamship Makura, 3,075 tons gross, and captained by a J.D.S. Phillips, on a voyage from Vancouver to Sydney on July 29. 1917. Among the firemen is an E. Gill, born at Sheffield, aged 33. His actual age was 32. Next he appears on the Bombala, slightly larger at 3,539 tons, arriving at Sydney on October 26, 1917 from Melbourne. His 33rd birthday was on November 2, 1917. 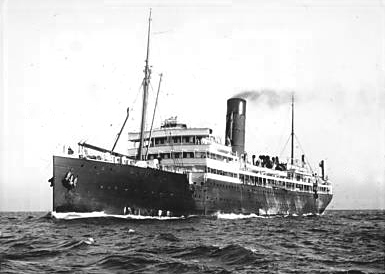 Less than a month later he is aboard the SS Aramac, of 2,113 tons, sailing from Melbourne to Sydney and arriving on November 27. This time his age is correct: E. Gill, fireman, 33, born Sheffield. It is assumed Ernest Gill remained in the Australian coastal trade. He appears aboard the Wandilla, of 7,785 tons gross, for a voyage terminating at Sydney on July 12, 1920. She had sailed from Fremantle in Western Australia under Captain Sim, and her crew list shows an ‘E. Gill,’ a trimmer, born in Sheffield. His age is given as 36, but his actual age is 35. It may be that Ernest Gill regarded his 36th year as akin to reaching such a milestone. On a further sailing, on the same route, in August 1920, E. Gill, 36, trimmer, is the subject of a subtle change. He is now listed as born in Shetland, not Sheffield – although there can be no doubt that this trimmer remains one and the same crewman. The indications are that it is not a casual mistake, because a month later, on another Wandilla sailing (from Melbourne to Sydney) ‘E. Gill, 36, fireman,’ once more states that he was born in Shetland, not Sheffield. If there had been an original mistake, he is now taking advantage of it. A further month goes by, and it may be that Ernest Gill is starting to enjoy obscuring his origins. Sailing from Fremantle to Sydney, and arriving on October 4, 1920 aboard the Wandilla, this ‘E. Gill, 36, fireman,’ is listed as born in Scotland. Sheffield – Shetland – Scotland. Ernest Gill’s uncle, after whom he was named, had also gone to Australia. This Ernest Gill was born on February 21, 1849 at 45 Milton Road, Sheffield. Farewell Gill was his younger brother – and is one of the witnesses on Ernest senior’s marriage certificate. 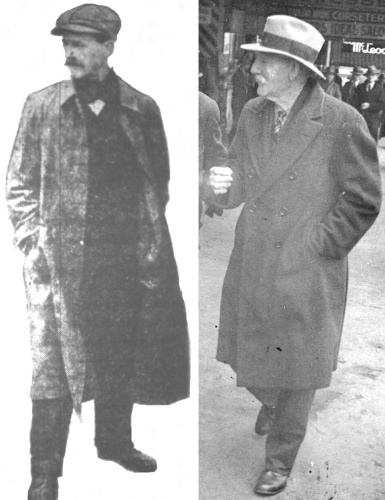 Ernest Gill and his uncle of the same name, right. Ernest Snr and his wife Mary Jane, née Hawley, emigrated from England with their baby daughter Martha Ann aboard the Duke of Athole, a 963-ton barque, sailing from Plymouth on January 20, 1881. They arrived on May 3 at Maryborough, Queensland. The agents’ steamer Jessie steamed up to the Duke of Athole and the vessel was boarded and the immigrants inspected. “The passengers were mustered, and in reply to the usual question ‘ Have you any complaint to make of your treatment by the officers of the ship?’ invariably responded on the negative,” the Maryborough Chronicle reported. Thus Ernest Gill had no complaints about the officers of his ship in 1881, but his nephew Ernest Gill would make a name for himself by adopting a contrary stance in 1912. Ernest and his family came to dwell in Murphys Creek, close to Toowomba, where descendants live to this day. 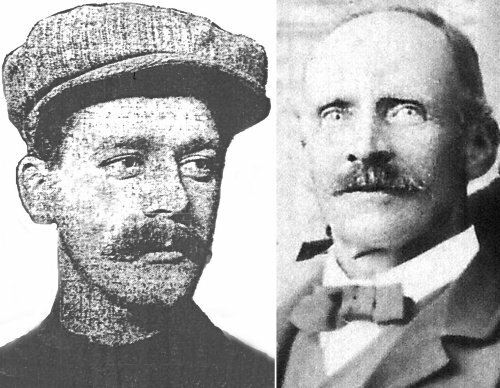 Family resemblance: Ernest Gill and his Australian cousin, Robert Gill, right. There is evidence that Ernest Gill – the nephew – was living at one point in Adelaide, South Australia, and was still single, albeit widowed. But for the remainder of the 1920s the trail goes cold. Did Ernest Gill go further than disguising his place of origin? Did he change his name? The Californian Ernest Gill did not die under his own name in any Australia State or territory, nor in New Zealand, in any of the years thereafter. If he did retain his name, his death was not registered – but this outcome seems inherently unlikely. Ernest Gill did not return to live in Britain. None of his relatives there have any recollection of him. No ‘Ernest Gill’ death in UK registers is remotely relevant. There is little reason to suppose that he further emigrated anywhere else, although the possibility cannot be excluded. Says Doris: “You don’t have to have your name changed legally to become somebody else. Back then a lot of people called themselves a different name, and there is no way of knowing if Ernest did that. “He could have died under that name and could have been buried under that name. ’No restrictions were imposed upon the stranger. He could enter freely, wander where he liked, make a fortune if he could, or in the fullness of his choice, leave again, when, perhaps, all who might previously have known him in his native land would have forgotten his existence. Ernest Gill changed his story, changed his origins, and changed his life. He continues to hide, and perhaps that is only appropriate.